Looking for the best places to stay on Maui is a snap; the Valley Isle has everything from spectacular resort and spa getaways, family-friendly accommodations, one-of-a-kind boutique hotels, eco-friendly lodging, and everything in between. And helping you find the perfect Maui accommodations is our goal. That's why we've put together our selections for the best Maui hotels. Plus, no matter which type of Maui getaway you have in mind, we understand you want both quality and value for your vacation dollars; and with our great rates on these handpicked Maui hotels, you'll soon be on your way to a fabulous vacation. Mahalo! Our featured Maui accommodations are those which we feel stand out in some way. For example, they may provide a gorgeous location, superior amenities and luxury, exceptional value, or a unique experience. See what has earned these properties a place in the spotlight. Book Your Maui Hotel Today! It's easy to plan and book your perfect Maui trip. Enter your trip dates to search Maui hotels, resorts, and other Maui accommodations. Looking for a hotel in a particular area of Maui- such as sunny Kanapali? Planning a certain type of Maui vacation- maybe a romantic getaway? Then narrow your Maui lodging search by location and theme here. You can also choose anything from a 5-star luxury experience to a budget-friendly backpacker's dream stay with our star rating search. Wondering which region of Maui to visit? Check out the pros and cons of each area here. 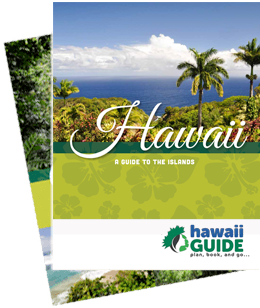 You'll also find a guide to the top Maui luxury and boutique hotels, as well as other helpful Maui travel information.